The ILO participated in the High-level Forum of Directors General for Development Cooperation on 30 November 2018 to convey the key messages emerged from the 1st November-Informal meeting in preparation of the BAPA+40 on behalf of around twenty Geneva and Rome-based UN agencies and partner organisations. The annual Director General (DG) Forum at the GSSD Expo, is a multi-stakeholder platform seeks to bring together Directors General from cooperation agencies of national governments of the South and other partners, to provide an opportunity for them to exchange views on South-South and triangular cooperation (SSTC) approaches and methodologies, as well as to serve as match-making platform for further strengthening partnership. The 2018 edition of the DG Forum, celebrating its ten-year anniversary, took place within the process leading up to the BAPA+40, focused on exchanging views and ideas about issues in relation with the themes of the Conference. Against this backdrop, the ILO with the representation of Ms. Anita Amorim (Head, Emerging and Special Partnerships Unit, PARDEV), contributed to the discussion of the DG forum by presenting the key messages emerged from the 1st November Informal Meeting in Geneva – a meeting with the participation of around twenty Geneva and Rome-based UN agencies and partner organisations on the SSTC strategy recommendations towards BAPA+40. 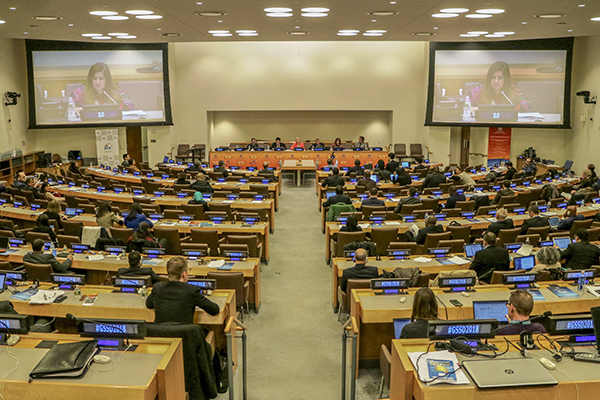 In brief, the key messages provided converging recommendations of the meeting’s participants to the consultative process of BAPA+40, concerning the UN Development System and recommendations for the Gevena and Rome based UN Agencies. Notably, among the key messages, there was an important consensus to continue the informal discussions to create a platform to facilitate dialogue on SSC and SSTC between UN programmes, funds and agencies in Geneva and Rome with a view to supporting the BAPA+40 process and beyond.